This article was last updated Apr 10, 2019, but some terms and conditions may have changed or are no longer available. For the most accurate and up to date information please consult the terms and conditions found on the issuer website. With fewer than 100 days left until Christmas, many Americans are just shifting into the 2018 holiday shopping season. When it comes to holiday shopping — or shopping in general — it’s stereotypically unexpected to see men ahead of the curve, but that’s exactly what the latest CompareCards survey reveals. The survey found among U.S. credit card holders, men were three times more likely to report they were finished or nearly finished with their shopping by Labor Day (with more than 100 days left until Christmas!) than women, and twice as likely to report they’ll spend “much” more money this holiday season than women. The survey, which polled 1,049 U.S. credit card holders, ran from Sept. 6-7. “I was stunned to see that men were three times more likely than women to have already completed their holiday shopping. It’s possible than men are finishing their shopping earlier in part because they do less of it than their partners, but whatever the reason, a lot of men are way ahead of the game when it comes to shopping for the holidays,” said Matt Schulz, Chief Industry Analyst at CompareCards. Around one in six men report they are either finished or close to finished with their holiday shopping. Comparatively, the survey found only one in seven U.S. credit card holders overall say they are finished or close to finished with their holiday shopping. Most holiday shoppers don’t mind the last-minute rush. Only 1 in 7 U.S. credit card holders (14%) said they have finished or nearly finished their holiday shopping with more than 100 days left until Christmas. 39% of American credit card holders don’t start holiday shopping until after Thanksgiving. Many leave it to the last minute — 35% of people said they start shopping between Thanksgiving and December 15. A net 16% of credit card holders say they’ll spend more this holiday season than last; 37% said they’ll spend more, while 21% said they’ll spend less. More than half of Americans (54%) say they’ll pay their holiday shopping debts off in a month or less; only 8% say it’ll take six months or more. Americans are pretty evenly split in their preference of shopping online vs in stores: 27.1% shop most in stores, 26.5% shop most online, 46.4% say they’re equally split between the two. Younger shoppers are more likely to get a head start. 18% of folks 53 or younger are done or nearly done with their shopping already, compared to just 4% of those 54 and older. Men are more likely than women to finish shopping early — and start shopping late. Men, surprisingly, are far more likely to say they’re done with their shopping early. Among credit card holders, 11% of men said they were already finished, compared to just 3% of women; 17% of men said they were either finished or close to finished, compared to 10% of women. However, men are also the more likely to start shopping after Dec. 15. Among credit card holders, 7% of men said they will start shopping after December 15, whereas only 3% of women said the same. 43% of men say they are likely to spend more this holiday season, compared to just 30% of women. When it comes to spending “much” more this holiday season, 17% of men say they will, compared to less than half that amount (8%) of women. The more money you make, the earlier you start holiday shopping. The wealthiest credit card holders are much more likely to have completed their holiday shopping. Of those American cardholders earning $100,000 or more annually, 17% are finished shopping. In contrast, just 5% of those making less than $100,000 a year are finished. The wealthier and more educated you are, the more likely you are to shop online. 37% of those earning $100,000 or more annually said they do most of their shopping online. Preference for online shopping fell with income, as 26% of those earning $75,000 to $99,999 a year said they do most of their shopping online. The figure was 26% among those earning $50,000-$74,999 on an annual basis, but again fell to 22% among those earning $25,000 to $49,999 annually. Among those making less than $25,000 a year, only 21% said they do most of their shopping online. Meanwhile, 28% of respondents with a college degree said they preferred to shop online vs. 25% of those with some college education and 21% of those with only a high school degree. Republicans are more likely to say they’ll spend more this holiday season. 39% of Republicans said they would spend more this holiday season, compared to 34% of Democrats and 31% of Independents. If you plan to finance your holiday purchases this year, you should be aware of both the benefits and pitfalls of using credit cards. About 16% of credit card holders in the CompareCards survey said they planned to spend even more money this holiday season. “That’s great news for their friends and loved ones, as long as all of that spending doesn’t lead to a debt hangover than carries into next year,” Schulz said. If you plan to use credit cards as a borrowing tool, Schulz suggests the following strategies for using them responsibly, and possibly benefit from borrowing in the process. Use the right card. If you have multiple credit cards, make sure you understand which card gets you the most points in various situations. 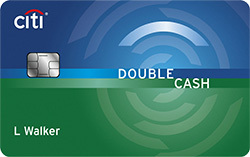 For example, your Discover it® Balance Transfer can get you 5% cash back at different places each quarter like gas stations, grocery stores, restaurants, Amazon.com and more up to the quarterly maximum, each time you activate, 1% unlimited cash back on all other purchases - automatically. You earn 5% cash back when you buy at Amazon.com and at wholesale clubs from October through December 2018. Your Amazon Prime Rewards Visa Signature Card* can also get you 5% back at Amazon.com and Whole Foods Market, 2% back at restaurants, gas stations and drugstores, 1% back on all other purchases. Take advantage of banks’ shopping portals. Folks who play the rewards game best swear by these shopping portals. They’re simple to use and can really turbocharge your rewards earnings. For example, at Citi’s Bonus Cash Center, you can get 12% cash back on Restaurant.com purchases, 10% on 1800flowers.com purchases and 6% cash back at Neiman Marcus. There are bonuses available at more than 400 stores that you can get simply by visiting the site through a link on Citi’s shopping site first. Use signup bonuses to keep your budget in check. How would an extra $200 for holiday shopping sound? 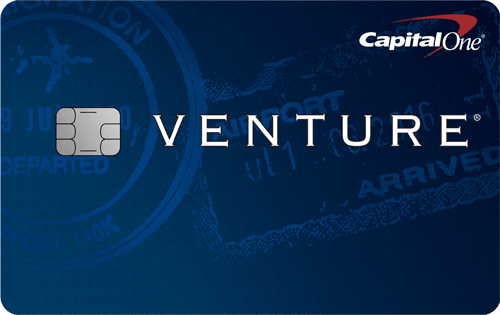 If you’re savvy and use it wisely, a new credit card can give you exactly that. For example, the Bank of America® Cash Rewards credit card gives you $200 online cash rewards bonus after you make at least $1000 on purchases in the first 90 days of account opening. Many Americans will spend that much or more during the holidays, so rather than paying cash for everything you buy, pay with your new card instead and then use that cash that you’ve saved to pay your credit card bill. Maximizing rewards is all about getting rewarded for spending that you’re already doing, and holiday spending is the perfect example of this. *The information related to the Amazon Prime Rewards Visa Signature Card has been collected by CompareCards and has not been reviewed or provided by the issuer of this card prior to publication. CompareCards rewards and travel card expert Benet Wilson is part of the 14% of American credit card holders who have already completed their holiday shopping more than 100 days before Christmas. Spreading your holiday gift shopping out over the year can help make the holiday season — already full of travel, family time and events — significantly less stressful. Don’t let Christmas sneak up on you. Wilson keeps a Christmas countdown app on her phone to know exactly how much time she has left to check off the items on her list. Find a closet or space in your home to store gifts. Create a list of those who will receive presents. As you make your list, keep in mind not everyone can, or should, get a present. Be ruthless with the list — and stick to it! Set a firm budget. Wilson’s budget is $700, including gifts for her child. Consider using resources like the apps SmartyPig, Qapital or Digit to save for gifts year round. Start shopping the day after Christmas — there are many bargains to be had. Each time you buy a gift, cross it off your list and resist the temptation to add more. Look for gifts that you don’t have to buy. Free labor for tasks like babysitting, house cleaning and handyman repairs are always appreciated if you have these skills. CompareCards by LendingTree commissioned Qualtrics to conduct an online survey of 1,049 Americans with at least one credit card, with the sample base proportioned to represent the general population. The survey was fielded September 6-7, 2018, and the margin for error for all respondents is +/- 3%.